Info: Created on 16th July 2012 . Last edited on 6th August 2012. Congratulations! FontStruct Staff have deemed your FontStruction worthy of special mention. “Synthek LDR” is now a Top Pick. Splendid. Particularly love the F. @ggg111ggg : can't see the point of all these "direct download" invading the livepage. Thanks for the top pick and all the positive comments, yay!!! I'll be making a sample pic today. @AFT: I can see the point. They post links that lead to an infamous URL shortening service which gives them a tiny amount of cash each time when someone visits it. I just HATE Adf.ly, I think it's unfair, so I'm hiding that comment. The F looks like it was hunchbacked, huh? The F is pretty much a "flagship letter" here. Thx. @Yautja: Perhaps it is a bot, no one knows. Except admins, so I suggest adding some kind of captcha before commenting. It could contain letters from various fonts from FontStruct! The font will be available on dafont anyway. At some point I also noticed that it's extremely similar to WipEout HD Fury logo (the "fury" part), maybe it's all because I have the box with the game right on my desk? Anyway, I though to myself: "is it anything bad"? 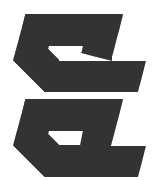 They're making a fan-game based on the series there on WipEout Zone Forum and I'm going to offer them my help with various in-game logotypes and logos. The whole original series is well known for high quality, futuristic design. For some reason many of your fonts are not loading up properly...? Yes, it seems that it's only happening to me, I've already informed FontStruct about this issue, but it turns out that I'm also unable to create new fonts or edit existing. This is really bad. This font's not downloading properly, so I'm making a clone called 'Skyber' which will hopefully work. Thanks to the FontStruct Staff who brought back my fonts - even if many of them are far away from being just proper - they mean a lot to me. FontStruct is my #1 tool - can't do in FontLab things that FontStructor is capable of, so until now, my entire life had been in ruin. Also, the FS Staff crew are the number one too - thank you guys again, I thought I'll never see them again! New fonts are on the way. @rj10328: Synthek LDR is also available on DaFont, slightly polished, 'cause there actually are some things FontLab can do that FS can't ^^. Luckily, I downloaded this one before my fonts crashed. was WipEout Zone on the N64?